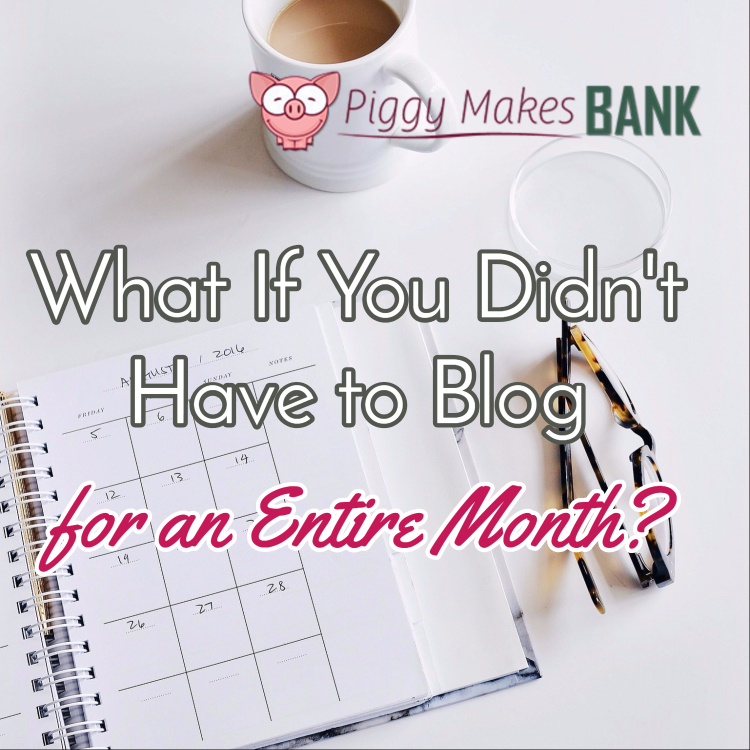 >> What Could You Get Done If You Didn’t Have To Blog For An Entire Month? What if you didn't have to blog for an entire month? What would that free you up to do instead? Think about that for a moment. It's so easy to get busy with our sites and keeping up with the content creation and blogging schedule we've set ourselves. Maybe you even made out a blogging editorial calendar that keeps you on your toes. Don't get me wrong. Creating fresh content for your audience is important and your blog is the cornerstone of your business. You need to keep things fresh and updated. In fact, blogging every single day for a month is a great way to increase traffic, engagement, and reach. But it also takes a lot of time and energy. Take a few minutes to watch the video below. Think about what big project you've been wanting to tackle. I walk you through a few different examples to get you thinking. Spend a little time mulling it over in the coming days. Make a plan for something you want to get done next month and follow the strategy I'm outlining for you in the video and below to carve out some extra time for yourself so you can get it done… while growing your blog, your audience, and your business. Here's the video: (you may need to undo the mute setting … hover over the video and you'll see the speaker symbol in the bottom right-hand corner). The offer I shared in the video is no longer available… but the content was too good not to share. And of course we put together a special deal to make it up to you and to thank you for reading this blog post and watching the video. Download the PLR pack and grab the articles as txt files. Copy and paste each article as a new blog post draft. This can easily be outsourced to a VA.
Go through the drafts, one at a time, and edit away. Make it sound like you and include references that speak to your audience. Add an image to make the blog post pop and do a little formatting to make the post look good. Give it a final edit and include links, offers, an opt-in form etc. Think about what you want the reader to do after they consume your content. Schedule each post to go out on a particular day next month. Schedule each email to go out on the day the blog post is scheduled to publish. As each blog post goes “live”, give it a little social media love to get the ball rolling and grow your reach. Spend the rest of your day working on what's important to you!